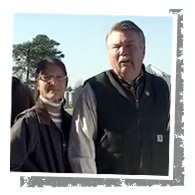 John Langdon Farm is a family owned and operated 205 acre farm located in Benson, NC. They proudly provide pork to Smithfield Foods and have also recently been recognized as a National Environmental Stewardship Recipient due to their long history of sustainability and animal health practices. Harris Teeter is proud to call John Langdon Farm one of our local neighbors! 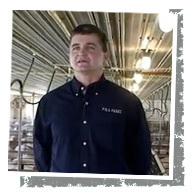 P&S Farms located in Rowland, NC proudly provides pork to Smithfield Foods and Harris Teeter. Animal welfare is a primary concern at P&S as a happy pig is a healthy pig. They have never used hormones in the care and feeding of their animals. Following solid practices of cleanliness and environmental sustainability have allowed this farm to continue for more than seven generations and Harris Teeter is proud to have P&S Farms as one of our local neighbors!